Now, just like a routine in the whole year, you can only taste it in this time. Encapsulated without filtration and pasteurization. You can enjoy plain rice taste and fruity bouquet. 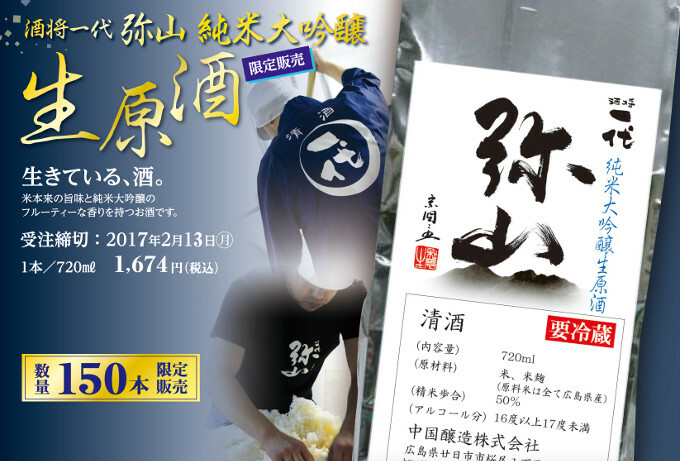 It is precious and delicious Junmai Daiginjo, focusing the wisdom and endeavor of brewers. 150 bottles limited. Be sure that it could be enjoyed with your families.